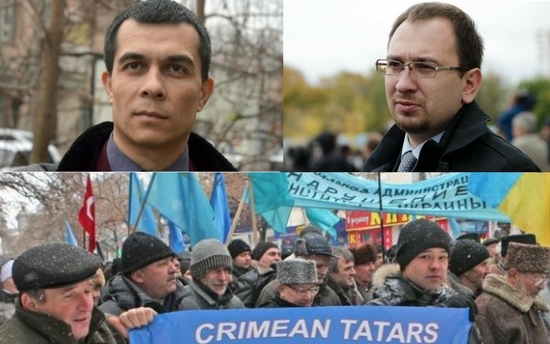 The Steering Committee of the Eastern Partnership Civil Society Forum released a statement in which it expresses its concerns regarding the deterioration of the situation of human rights defenders and those opposing Russia’s policies in Crimea following the arrest of two Crimean attorneys: Emil Kurbedinov and Nikolai Polozov. The statement showcases the constant persecution of the Crimean Tatars and indigenous people in the peninsula. The Steering Committee highlights that the human rights situation has been worsening since the annexation of the peninsula by the Russian Federation in 2014. Through its actions in Crimea, Moscow has been violating the Fourth Convention relative to the Protection of Civilian Persons in Time of War (12 August 1949), which was ratified by the State Duma, and the United Nations General Assembly Resolution 71/205 adopted on 19 December 2016, which recognises Crimea and the city of Sevastopol as parts of the sovereign territory of Ukraine. Therefore, the resolution considers Russia as an occupying power, responsible for human rights violations in Crimea and Sevastopol that should adhere to its obligations under international law and should “immediately release Ukrainian citizens who were unlawfully detained and judged without regard for elementary standards of justice”. find appropriate mechanisms (in particular but not limited to sanctions), employ additional tools of influence on the Russian Federation in order to react to the current situation in an adequate manner.